Posting here because UAA Board is dead. Position players return pretty much intact. Only need to replace one starting pitcher and closer. Incoming Frosh LHP Nick Denove was Naples Daily New Southwest Florida Sports Awards baseball poy. String OOC opponents. I have lost track, Is the UAA still doing the tournament during the spring vacation trip? Or are they Doing a round robin? I had heard they were changing, however old age seems to be catching up with me. Round-Robin Fr/Sa(2)/Su weather permitting of course. So no end of year tournament? Thanks, Go Case. Sad to see OWU is not on their schedule. Good luck to all and I hope yo all have great season. CWRU drops opener 6-5 to Spalding in Louisville. Spalding opened its season with a win over pre-season #2 Whitewater. Spartans faced the two pitchers who pitched against UWW. 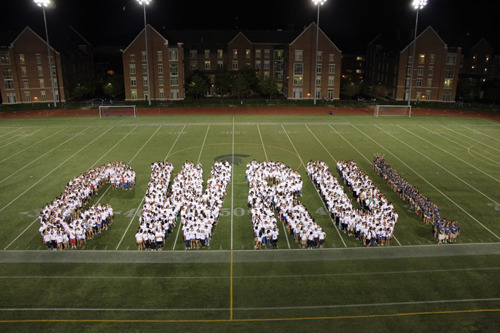 CWRU finishes pre-conference play 12-6, winning 6 straight, and receiving votes (2) in poll. That after digging themselves a hole losing three close games to Spaulding, a team with wins over current #2 Concordia-Chi (their only loss) and #22 Whitewater. Since then they've gone 12-3 with two wins over 9-5 St John Fisher (ARV) with wins over #11 Hopkins and JCU. As a team Spartans are hitting .325 with 14 HRs from seven different players. Pitchers have combined 2.94 ERA. Middle reliever Scott Kutsche is 4-0 with a 0.42 ERA over 21-2/3 innings allowing Spartans to comeback in games when starters have faltered or bats have started slowly. However, Frosh Willem Bouma has won all three of his starts boasting a 1.42 ERA. This weekend UAA play begins with #25 WashU coming to Cleveland for a four-game series. Remaining non-conf slate includes: B-W, #8 Wooster (2), #24 Heidelberg, and John Carroll (ARV). Pitching and defense seem to be the calling card for CWRU year in and year out. Seems like they have it again this year. If they have a strong hitting lineup to pair with it, then they are going to be tough to top. As usual, they have a tough schedule and should be battle tested come end of the season. Having 6 losses already, though, and playing the schedule they do, will make it tough to get to the 28-30 wins usually needed to get a Pool B or C bid. Their fate is in their own hands (sorry, overly obvious statement) as the 4 teams you mentioned all have hopes for a Mid-East regional bid. Englander definitely does a great job with the program. Englander is one win away from 300 wins. NYU is 11-3, but their non-con schedule is usually pretty weak, they are 320th in SoS. Spartans travel there the following weekend. Spartans' hole just got deeper, as they dropped a DH to WashU, 7-5 and 2-1. I just hope Cleveland weather let's them have two more games to hopefully even the series. In the brief two-year history of the UAA round-robin CWRU has not lost a single series. Cleveland weather prevented the other two games with WashU being played. I wish there was some to make up those games, but I get that travel would make that difficult. Maybe the opening UAA series should be played in Atlanta and St. Louis. CWRU just dug its hole a little deeper. After winning the opener 4-1 behind Levine and Kutschke, Spartans lost three straight to Emory with scores of 8-7, 13-3 (7), and 10-6. As those scores indicate, after those two pitching was not up to par. In addition the Spartans committed two errors in the final game which resulted in 6 unearned runs. This week's schedule has a Thurs/Sun home and home with Wooster and a Saturday game vs. Berg. Spartans have to win all three to keep post-season hopes alive. Has anyone noticed that Hope is 22-1, but only getting 9 votes in the Poll? Yes. Look at their schedule. They could be 35-1 going into the Adrian series and still not be in the Top 25.